KARGIL: Deputy Commissioner Kargil, Vikas Kundal, today supervised the randomization of Presiding Officers (POs) and Polling Officers at National Informatics Centre Baroo here for the conduct of Ladakh Autonomous Hill Development Council (LAHDC), Kargil Elections 2018. Around1300 employees of different departments have been selected as POs and Polling Officers through randomization. During the randomization, POs and Polling Officers for 258 polling stations spread in 26 constituencies were finalized. The 2nd phase of election training to the selected officials will begin from August 18, 2018. It was said that for few polling stations in Zanaskar Sub Division, helicopter services will be put in service for despatch and return of polling staff. It may be recalled here that polling will take place on 27th of August while as counting shall be held on 31st of August and the entire poll process shall complete on 5th of September, 2018 to elect 26 Councillor of the district for 4th General Election to the LAHDC, Kargil. 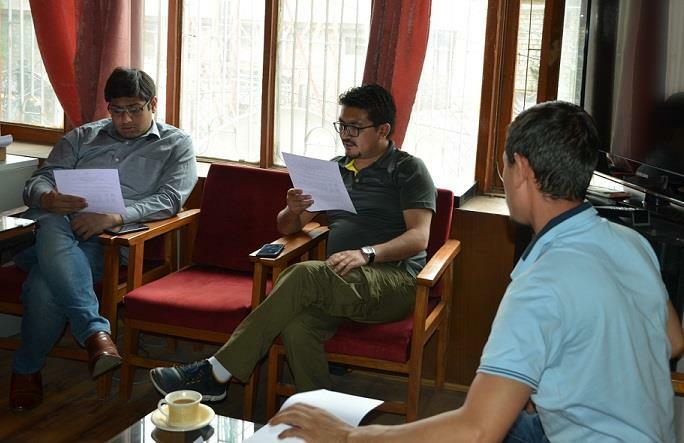 Assistant Commissioner Kargil Sonam Chosjor, Assistant Director Information Kargil Abdul Ahad Bhat, District Informatics Officer Kargil Iftikhar Hussain and other concerned were present on the occasion.